With our plan A gone out the window due to high winds, we had to make a decision on where else we could go. 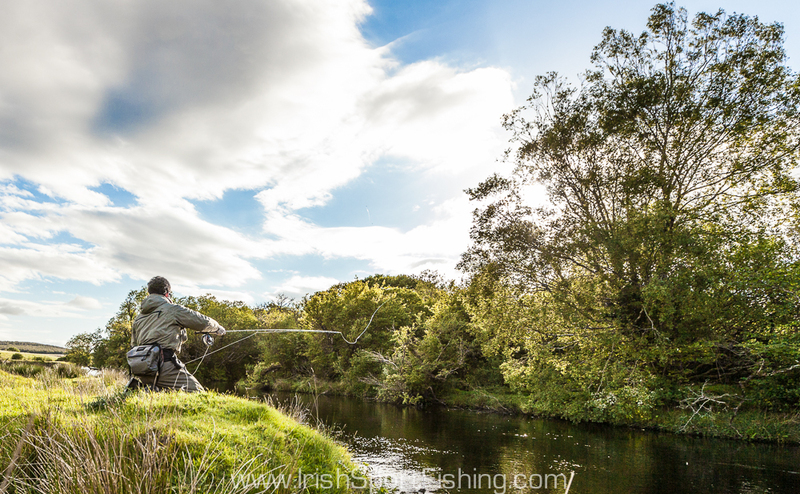 Luckily Co. Mayo offers the salmon angler a wide range of options to choose from depending on what the weather gods throw your way. 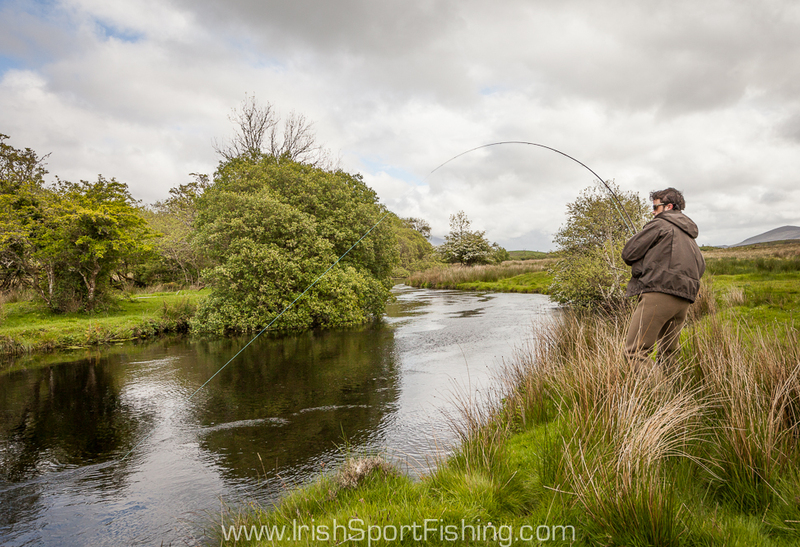 We decided to give the Newport river a go – a river neither of us had fished before. From the Newport House website, ” The Newport River drains Lough Beltra and a 56 square mile catchment into Clew Bay. This river is something of an enigma, for, though it holds salmon right from opening day, its value, particularly as a salmon river, is not really appreciated and hence it is quite under-exploited. It gets a good run of spring salmon right from the start of the season and can produce three or four salmon on opening day. It holds good fish too, and has fish of 16 lb, 17 lb, 19 lb and 22lb to its credit in recent years. Somehow, it is overshadowed by Lough Beltra and it would appear that most of the patrons of Newport House Hotel prefer the luxury of lough fishing with a gillie to walking the river. 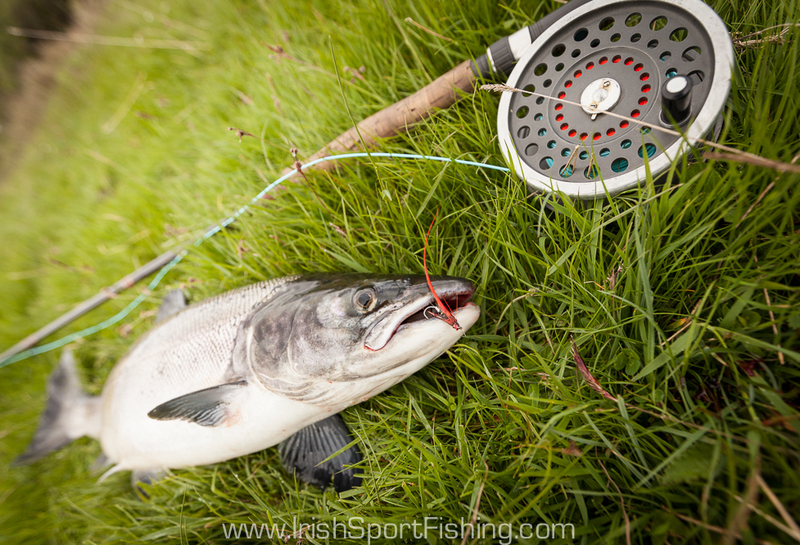 Little do they know what excellent sport they may be missing.” There is some lovely fly water all along the river, but the general consensus is that the mid to upper parts are the most productive, particularly during the spring run. This is where we decided to fish. A switch rod or a 7-8wt single hander is more than adequate, and a floating line with an intermediate or slow sink tip is all that is needed unless the water is running high. It’s always a bonus to meet a fish on a first-time session like this, as not knowing the pools and lies is a disadvantage, but we were lucky enough to do so this time. Fishing a fairly slow moving pool John saw a fish come for and miss his fly. After several casts to the same spot the fish came again and took. It was completely different to your classic salmon fishing scenario where you are fishing blind and waiting for the line to tighten. 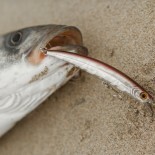 The visual aspect of actually seeing the fish take is something that greatly appeals to me in all types of fishing. John’s fish was about 7lb, and took a fly which is called ‘Furball’ (or at least thats what i call it – you can take a guess why!). It was an enjoyable day out on a new river. I’m slowly ticking them all off the list. It will take a while yet! Great day Steve .I will be up in the west soon. 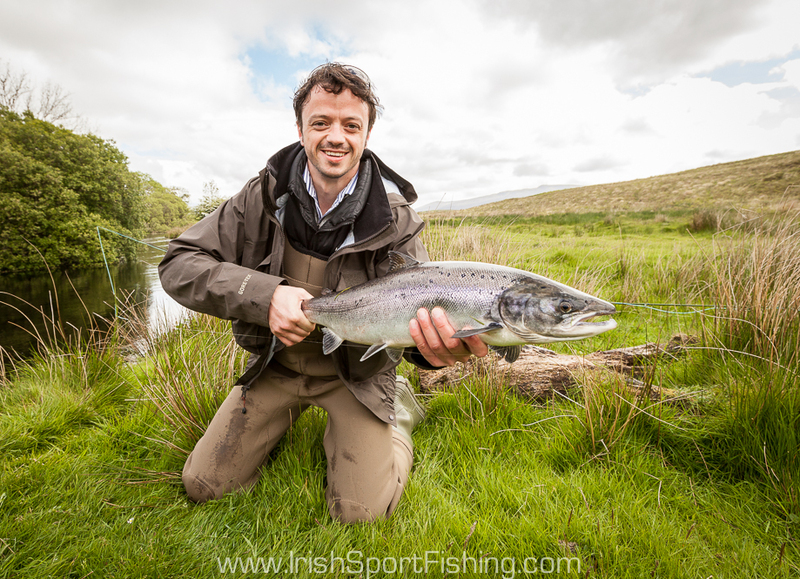 This entry was posted on June 10, 2014 by steve and tagged angling ireland, angling ireland update, Irish Sport Fishing, lough beltra fishing, Newport River Fishing, Salmon Fishing Ireland.